Capitalizing on the publicity around next Sunday's Grammy Awards, Apple is running a series of billboards around Los Angeles featuring memoji versions of artists like Ariana Grande and Kacey Musgraves. 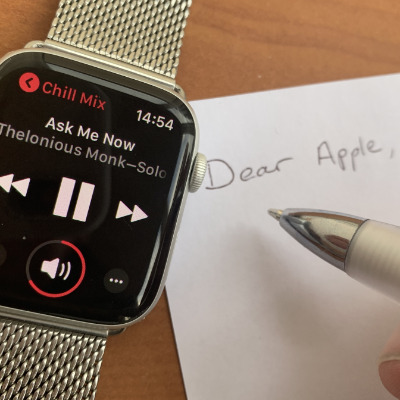 Apple could make it less of a chore, but in just a few steps you can download playlists and albums directly to your Apple Watch. AppleInsider demonstrates how to keep your favorites on your wrist and leave your iPhone behind. Apple's HomePod starts with a simple setup and it ends with you forgetting you didn't always have music surrounding you. In between, though, there are details to consider about that first setup and many options for when you move the HomePod to a new room. AppleInsider takes a dive into the use of Apple's latest speaker. Apple expanded Apple Music song lyrics functionality to seven major markets on Monday, with users in France, Germany, Spain and other countries now able to use the capability for both streaming and searching for songs. In an interview published on Thursday, Beats 1 DJ Ebro Darden addressed his new job as Apple Music's global editorial head for hip-hop and R&B, along with long-term plans for the service and other topics. Apple has appointed a new global editorial head for Apple Music specializing in hip-hop and R&B, with radio personality Ebro Darden leading the team curating tracks and handling new album and song releases in the genres.